A friend of mine on Facebook, also running iOS 4, decided he was going to clear off all his apps in his background dock and then, after 24 hours, check what apps he used and how many. I decided I’d try too and see what I got. I ended up with 27 apps and here they are: Photos, Pixelpipe, Facebook, Messages, Maps, Settings, Twitter, Boxcar, IMDb, Phone, Safari, Mail, foursquare, Gowalla, Clock, Camera, YouTube, App Store, Bible, Prowl, Zillow.com, iMovie, Slowmo, PCO, Simplenote, Wikipanion, iBooks. Now here’s an idea… if you’d like, clear all your icons from your backgrounding dock and, after 24 hours, post a list of them in the comments. It’s a great way to find new apps and see what everyone is using. 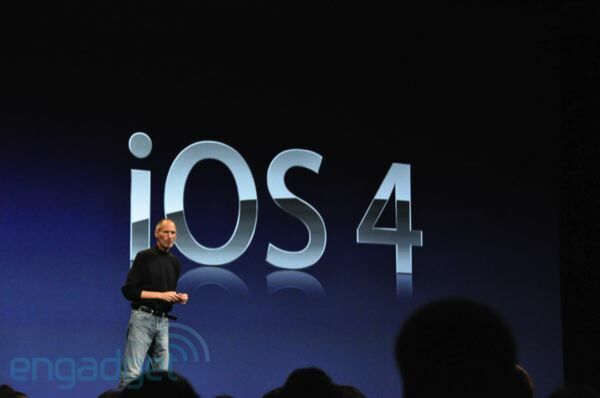 iOS 4 is now available in iTunes. You must upgrade iTunes to 9.2 to sync with iOS 4. This update is for the iPhone 3G, iPhone 3GS & newer iPod touches (not 1st Gen). Some older devices will not get all updates such as backgrounding. See details below.